Westin ® Hotels Heavenly ® Bed Collection encompasses all the great features that make a hotel great. The Westin ® ensures that all their guests experience a luxurious and comfortable sleep matched by none other. 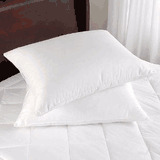 The Westins ® Heavenly ® Bedding includes the highest quality down alternative and feather and down pillows. Their beds are than covered with the finest in Heavenly ® linens that has their beds looking elegant and feeling comfortable. 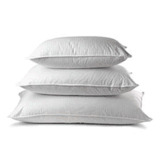 Experience a great night’s sleep and purchase the Westin ® Hotel Heavenly ® Bedding Collection today!